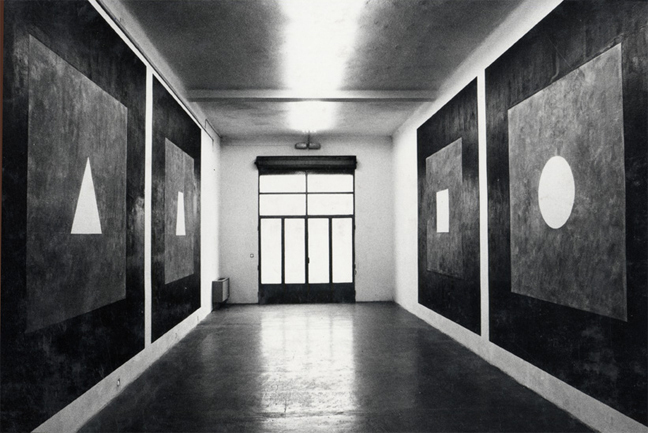 The works by Ettore Spalletti (b. 1940, Cappelle sul Tavo) will include panels, large vases, and alabaster sculptures; and as we have come to see, pieces with the blue of the sky, the brown of the earth, the green of the fields, the pink of flesh. 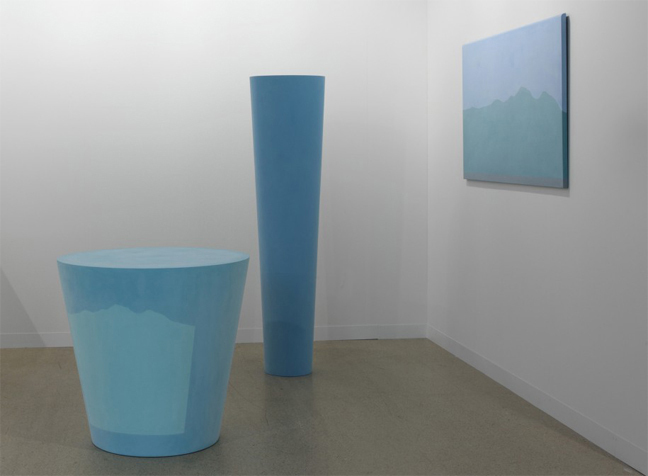 Spalletti’s work is always poised between painting and sculpture, in a successful attempt to wed the two worlds. Italian art itself was born out of the marriage of these opposites, since sculpture was painted in Greece and hence in Rome, but also in Siena, in the work of Jacopo or Valdambrino, with their large frames and lecterns. And for that matter, Art and Architecture have always worked together in founding our culture, building our cities. Sol LeWitt (1928-2007), an unchallenged master of conceptualism, radically changed the way we see art with a simple vocabulary of lines, geometric shapes and combinations thereof, shifting the balance of creativity from realization to conception. He was an artist deeply indebted to Italy, where he lived and worked for many years: a country he drew on for chromatic inspiration, while capturing the precious simplicity of the combinatory insights it offered. Like a musician working with the serial nature of sound, LeWitt worked with shapes and colors. 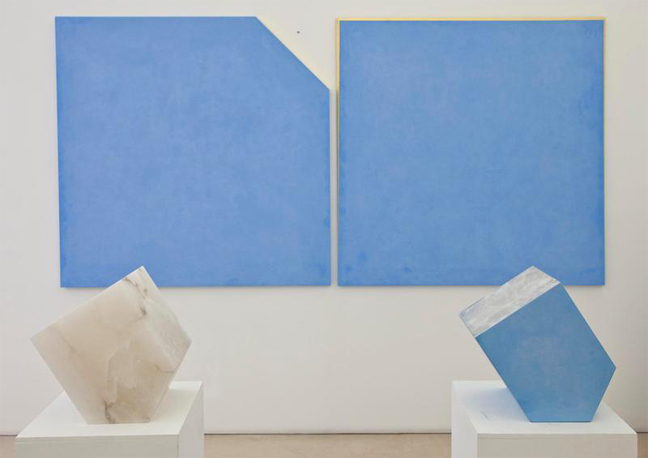 The show will include sculptures from various periods, wall drawings and gouaches that form a striking painterly counterpoint to the works of Ettore Spalletti.